Jordan Montgomery has come a long way in 2016 and many still haven’t even noticed. That’s fine to Montgomery I’m sure but myself, as a bringer of information, I would feel like I was doing a disservice if I didn’t bring him up one last time in these showcase posts before they cease at the end of the week. 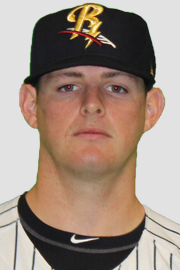 Montgomery, who I read has a delivery type that was compared to that of Clayton Kershaw, started the Triple-A Championship game in a one-game winner-take-all series for the Scranton RailRiders which goes to show you what the organization thinks of him, his stuff and his makeup. In that start Montgomery lasted five innings allowing six hits and one run with five strikeouts and no walks in the victory for Scranton. The RailRiders won their first ever Triple-A championship and that came on the arm of Montgomery. How freaking cool is that? Congratulations to Montgomery, the Scranton/Wilkes Barre RailRiders and the entire New York Yankees organization. What a ride and what a season.